If I was asked to name one place in the whole of Kathmandu, and the whole of Nepal for that matter, where the essence of tourism can be captured, it would be Thamel. 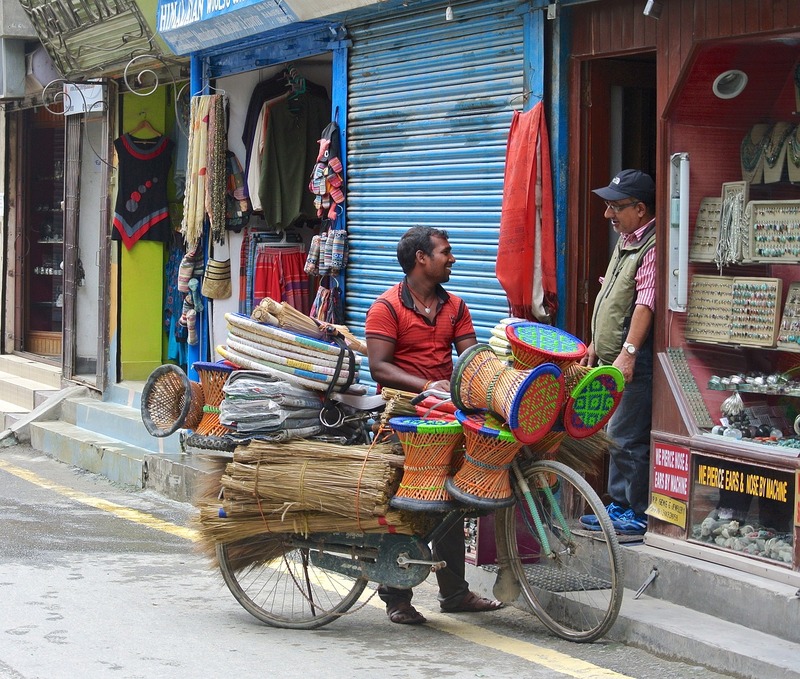 Those of your who visited Kathmandu are probably already familiar with this tourist hotspot, but if you’re just now planning a visit to Nepals’ capital, Thamel is a must see destination. Thamel started on its path to becoming a tourist hotspot back in the 70s, when many different artists and visitors at the time picked it as the go to destination during their travels in Nepal. Nowadays Thamel is considered the low-budget center of Nepal. Many backpackers visit there, and find cheap places to eat, buy gear for their expeditions, buy souvenirs, etc. Even though prices there are not quite as high as in other places in Kathmandu, they aren’t the lowest that you can find, it is a tourist destination after all. Because it is such a hot destination, it can get quite a bit crowded in the streets there. Visitors there can enjoy in the Thamel Wifi zone, one of the first to be setup in the whole of Nepal. Shops and street markets there offer anything and everything that you might need, from handcrafts, to music and DVDs. We tell people to squeeze in Thamel in their schedules, as it is definitely one of the more interesting places to visit. Give it shot and you won’t regret it for sure.